Davenport University has over 20 years of experience and expertise in corporate and professional education. 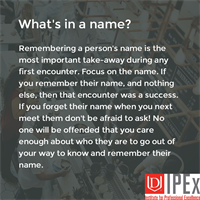 Whether you are interested in improving employee performance, advancing professional skills and certifications, or learning for personal development, Davenport University's Institute for Professional Excellence (IPEx) is your solution. The Institute for Professional Excellence, commonly known as IPEx, provides corporate and professional education. Offerings range from 1-day business skill courses and certificate programs, to certification exam prep, 5-day boot-camps, and traditional semester long programs. The courses are available in a customized training format for your business or corporation, or for the individual student looking to gain or refine his/her professional skills on a specific topic.